This programme is an introduction to social skills and they are essential to help a child adapt to school. It supports children to use a range of socially skilled behaviours such as looking at people when talking to them, listening and not interrupting, following rules and sharing/taking turns. Parents are asked to support this at home and are sent information sheets on ideas of how they can support their child. It is vital that all the children at Play2Learn are happy and involved in the activities that we plan for them. Therefore we assess termly how all of our children are progressing, looking at how settled they are and how much they take part in the activities. In this way we can support them through our Key Person system and by working with parents to increase these areas. If they are ahead we will look at how we can stretch them so that their interest in activities and well being remains. Play2Learn Nursery has been accredited with the Let's Talk Together award, this means that all the team are highly skilled in supporting children with their language development. Language is important as it forms the basis for interactions with other people and allows us to tell someone about our thoughts, needs and experiences. It is also vital as children need these skills to make friends. At the setting we have an Early Years Lead Language professional (Annette Rahman) who ensures that the setting is a communication friendly environment. All team members spend time talking and more importantly listening to children, taking part in their play, extending their language and developing their imaginary play. Each child is tracked to ensure they are reaching developmental milestones and extra support is given to those children who need it and on occasion a referral to a speech and language professional can be made with the parent’s permission. Those children who are very able are extended to increase their vocabulary and understanding of how language works. 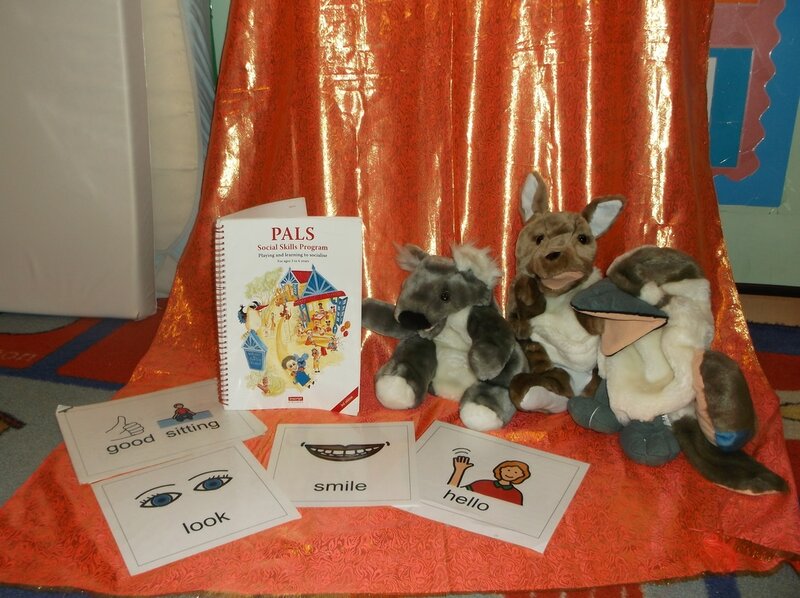 To support Let's Talk Together we use signing and visual clues alongside verbal language. We spend time reading stories and using props so the children can become involved and we sing many different rhymes as this help to develop vocabulary in a fun way. Parents are involved by sending rhymes and stories home and each key person will share individual planning with parents that will support language development. In turn parents share what their child has done at home and how their child expresses themselves so we can work in partnership. Every child will be able to take part in Forest Schools which takes place in the Local Park and forested area at the back of the setting. In the park the children can explore the forested area, the paths, walkways and river and in the forested area the trees, plants and wild life. There are high staff ratios of 1:3 with two qualified practitioners; Annette who is the Forest Schools Leader and Inderdeep who is the assistant. The children are encouraged to be independent, to challenge themselves and take managed risks. The activities are linked to the curriculum and are included on the group planning, the nursery provides all in one coats and wellington boots so that all children can take part. Please come out with us to a session of Forest Schools to see why your child enjoys it so much! ​This is a vital part of your child’s learning and development and many children learn a lot more outside where they can make bigger movements and can be much louder. Everyday the children will be encouraged to go outside where they will have access to the same curriculum as inside. They will be encouraged to take part in energetic physical play which aids their physical as well as mental development; this will include physical nursery rhymes, games, obstacle courses and bike riding. Children will be encouraged to learn by moving around and accessing all the activities in a more physical way. Therefore please make sure that your child has appropriate clothing e.g. coat, hat and gloves in the winter and sun hats and sun cream in the summer. Outdoor play is part of the curriculum and is a legal requirement, it allows children to experience the weather and build up their natural immunity to everyday coughs and colds. Children also need exposure to 15 minutes of vitamin D a day and this is achieved by going outside and running around. ​Play2Learn has achieved its healthy setting status and is one of the first to do this in the Borough so we are very proud to have this plaque as it shows our commitment to ensuring that every child is healthy at Play2Learn. Healthy setting covers all areas of a child’s health such as the food that is provided (please ask to see our rotating menu for each season), the amount of physical exercise your child gets – (please ask about Physical Literacy) and their emotional wellbeing (which we monitor termly through are wellbeing and involvement indicators). It also looks at healthy choices, growing food with children and of course working in partnership with parents to ensure that every child is happy and healthy. Please ask Annette if you would like more information about this award. When you join the nursery you will be sent a link by email for Eylog which you must set up in order to receive pictures of your child and their observations. We will also send details of events and notices through this system. Please check when you join that this is working or you will miss out on vital information. This sysytem is secure and only accessible by our parents. At the end of the year you will be able to buy your child's learning journal or if you prefer you can print the pictures and observations yourself and make a scrap book. You will be asked in the summer term if you would like one and there are various prices depending on if you order a download. DVD or USB stick.